Authorities hired over 100 men to demolish a government-controlled Protestant Tree-Self church in Shenyang city; about eighty of them were dressed in black and had masks over their faces. 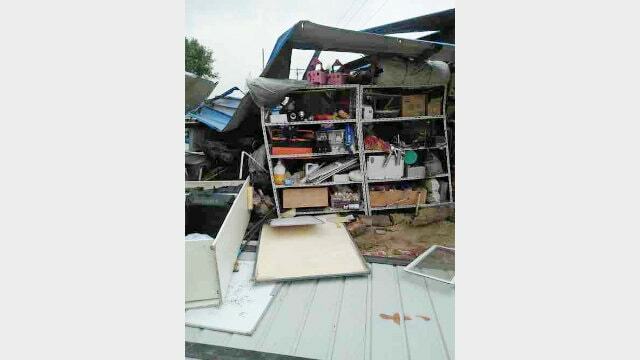 Bitter Winter has recently accessed a video and photos of a church demolition in Liaoning’s Shenyang city. 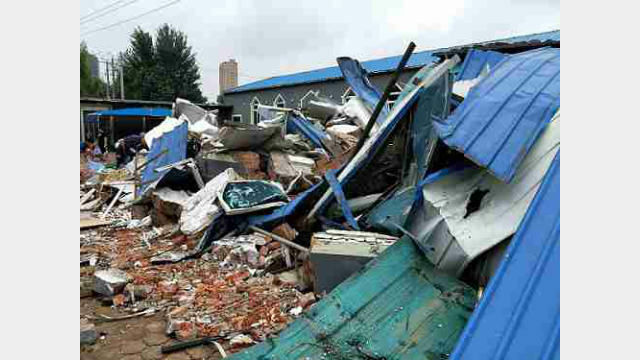 On August 7, the administrative officer of the city’s Dadong district mobilized nearly 100 men from the Demolition and Relocation Office to demolish the Wanghua Three-Self Church. 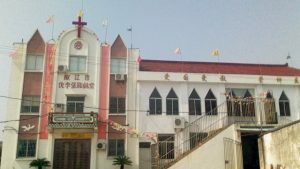 The authorities had declared the Wanghua Three-Self Church to be an “illegal construction” and so sent in the men, along with two excavators, for its demolition. The majority of the men were dressed in black, from head to toe, to prevent from being identified. While most of them got to demolishing the church, some of them stood with axes and batons to fend off the protestors. When some believers stepped forward to stop the demolition, they were shoved and assaulted by these men. Later, nearly 20 government officials showed up at the spot, but they did nothing to stop the assaults by the men. 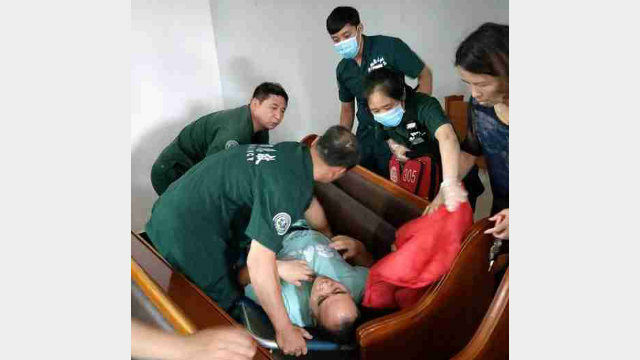 Mr. Zhao, a preacher, pleaded with the men to allow the believers to remove their things from the church but a black-clothed man kicked him in the chest instead. Another preacher also tried to block the excavators, but he was struck in his face. 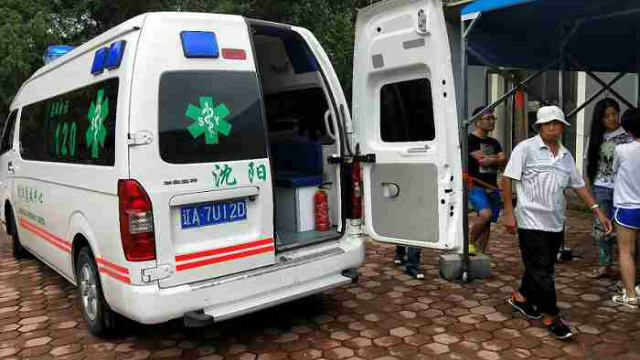 When Mr. Zhao was finally taken to a hospital, he was treated for broken ribs. 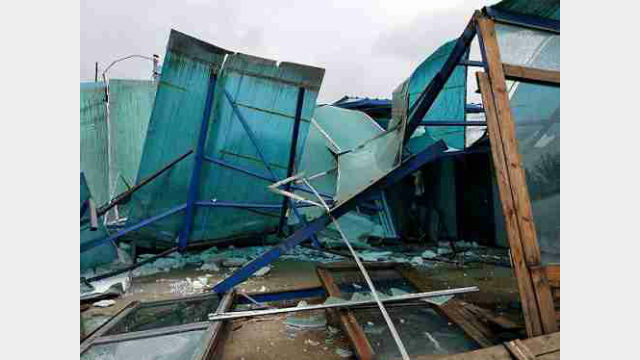 Within ten minutes, the church had been razed to the ground. This included materials worth hundreds of thousands of RMB inside the church as well such as the church’s air-conditioner, computer, piano, and other items. An ambulance at the demolition site. 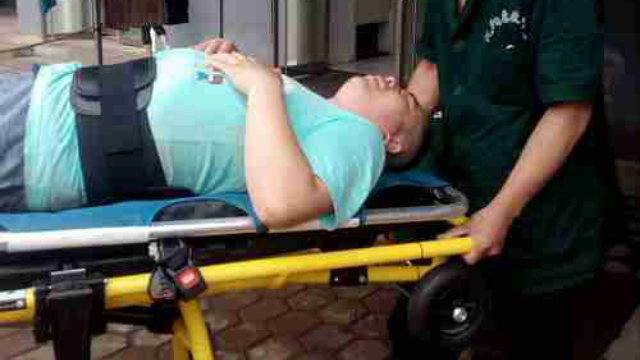 Preacher Zhao was beaten and injured.